Want to know what is better than going on vacation? Going on a date on vacation and getting to smooch and flirt all over the place while on vacation! So if you’re headed to London and are looking for the perfect little place to sneak away to for the evening, I’m sharing three of our favourite date spots with you here. And don’t be surprised if you see the two of us canoodling there when you go. 2. 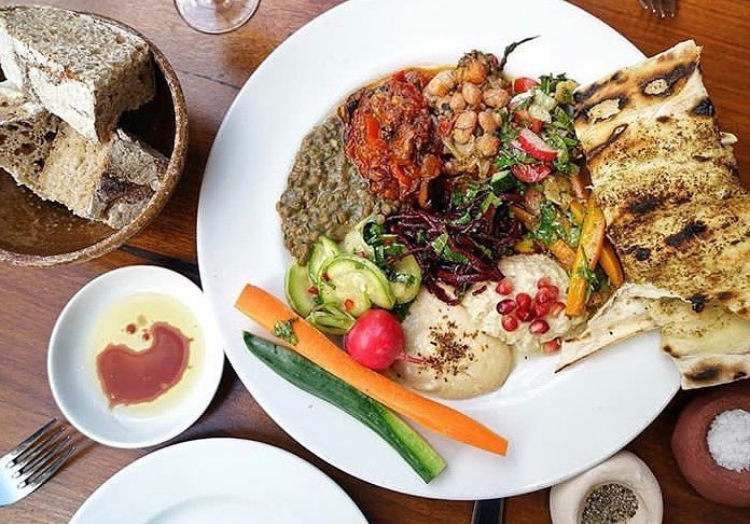 MORO | If you’re in/around East London, this is a great option for a spot that will feel decidedly local while also having the benefits of cool cultural influences of being in a major city. Make a reservation and expect great things- Spanish flavours, a happening scene of Londoners meeting for a night out and a perfect setting on the dreamy, twinkle-lit Exmouth Market to amble down when you’re finished with your dinner. You’ll be holding hands and smiling like cheesy college kids before you can say, “We need to get back soon so the babysitter can get home." 3. THE DELAUNAY | Forever one of our favourite date spots- this pretty place is in the style of an old Viennese Grand Cafe. It feels fabulous, you’ll feel swooned by the classy waitstaff and, oh man, is the food is delicious- the schnitzel! This is a great night out if you have a pretty dress or blouse you need to break in, or are headed to the theatre nearby on the Strand. *Amber is a Londoner who lives here with her husband and two darling children. She has the best taste of anyone and is one of my favourite people. If you’re lucky enough to know her in real life, you’ll agree. If you live to far away from London to know her, you can follow her sweet family on Instagram. Find more of my London favourites in my travel guide.